Welcome to the Aquathin book, music, products, services, and travel review page. Here you will find our environmentally friendly recommendations which fit the Aquathin philosophy. As everyone knows, we're all surrounded by unhealthy products every day. Some have frightening warning labels, but others don't even bother to list the dangers. At the same time, there are plenty of healthy alternatives out there, and this book is packed full of them. 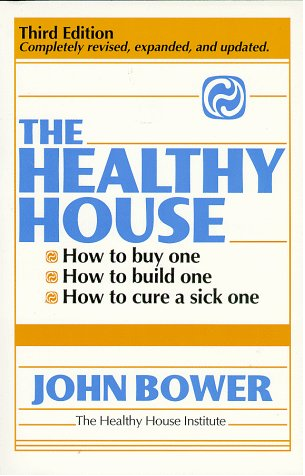 It should be required reading for every homeowner or apartment dweller interested in good health. And, if you have allergies or chemical sensitivities, it can help you radically change your life for the better. 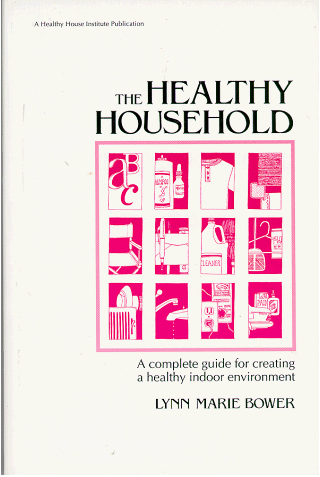 With hundreds of practical suggestions (and addresses and phone numbers of suppliers) for improving your indoor environment, The Healthy Household is the most comprehensive and thorough book of its kind. With 480 pages devoted to cleaning products, personal-care, clothing, linens, interior decorating, life-styles, housekeeping, air and water quality, and electromagnetic radiation reduction, no other book matches its completeness. You may not have realized it, but it's been determined that half of all illness is caused by poor indoor air quality. So, if you're at all concerned about your family's health, and plan to repaint a bedroom, replace floor covering, put on a room addition, or even build a new house, you need The Healthy House! Without it you could easily have health-care costs that are hundreds of times higher than the cost of the book, which is now a classic among health-conscious builders and remodelers. It's now available in a completely revised third edition and is an easy-to-read, in-depth look at all building materials and their effects on human health. In 672 pages, it discusses everything from roofing, siding, drywall, and plywood, to cabinets, paints, caulking, and carpeting, plus it contains nearly 500 addresses and phone numbers of suppliers of healthy materials, and it's fully referenced. For the Very Finest in Allergy Relief and Environmental Control Information.